No food or drink in the reading room. Pencils are the only writing implement allowed (no pens) and are available upon request. There are hangers provided for your jackets and back packs. 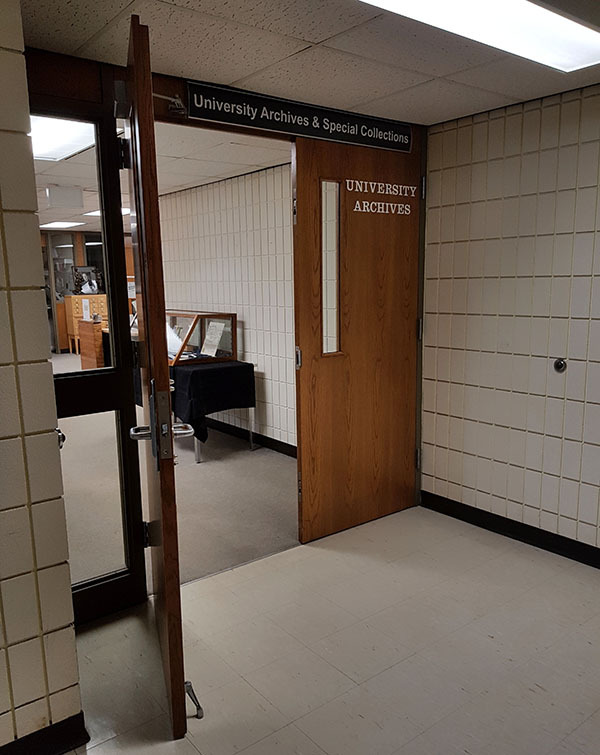 Welcome to the guide to the University Archives and Special Collections. We can support you in your research by providing access to primary source materials such as archival documents as well as books, periodicals, photographs, and even some audio-visual records. The collections include materials relating to Saskatchewan, Western Canada, and the University of Saskatchewan. There are collections on a variety of research areas including, but not limited to, English, History, Agriculture, Law, Drama, Gender and Sexuality, and Engineering. Reference service is available by contacting us at ua.sc@usask.ca, calling us at 306-966-6029, or in person at our front desk. We provide physical and digital copying services subject to copyright, fair dealing, and privacy law. Our website hosts a variety of digital content such as searchable databases, exhibits, and websites which means you can do a lot of preliminary research without leaving your chair.